Carol singing:D. . Wallpaper and background images in the Caroline Celico club tagged: caroline celico. 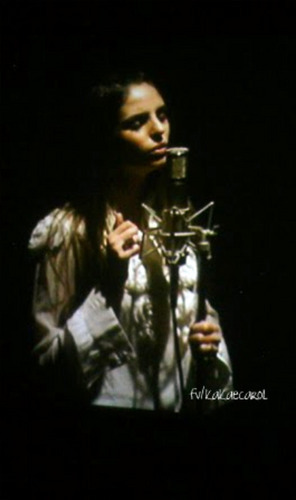 This Caroline Celico photo contains concert. There might also be sign, poster, text, and chalkboard. She looks like an angel!! *_*.. Her music is actually pretty good..! I like that even when she said that her music is dedicated to God, it's not an extremely religious music..!